And so much fun to watch! That limb isn’t even attached to the tree! What’s holding him up? 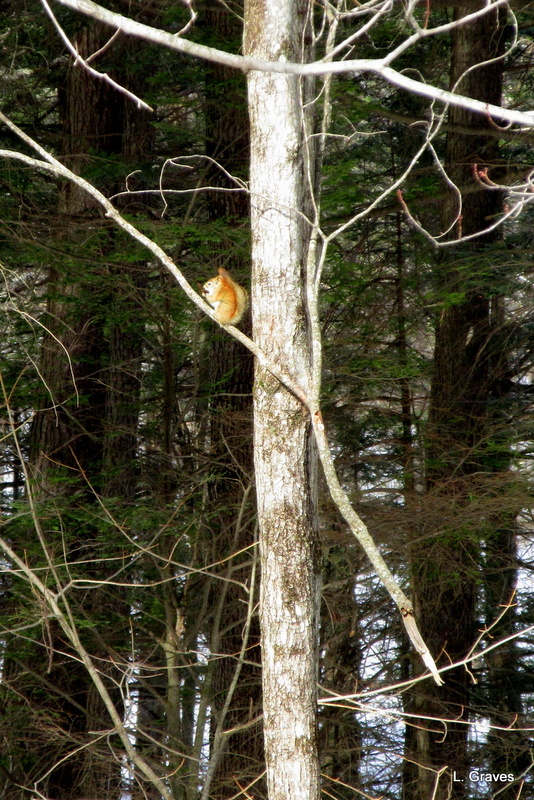 Red squirrel! Don’t let him in your attic! As Gayle has pointed out – how is that branch staying put? It doesn’t appear to be part of the tree any more! I love the squirrel and I like your play on words! Even though it isn’t evident in the picture, the branch is tangled with other more solid branches. Oh, they’re clever little rascals. And scrappy! Boy, those red squirrels show the grey squirrels who is boss.